Ridden by Manoel Nunes, Pearl Green left his opponents in his wake when he powered away at the top of the straight to easily defeat Kelowna Star (Fausto Henrique), with Lucky Winston (Martin Wepner) running on well for third. Prepared by K H Leong, Pearl Green has been a real bargain buy for his owner Chan Ming Wing. 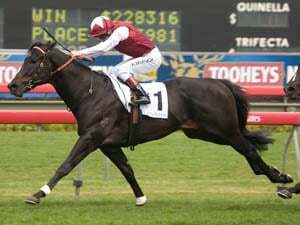 Originally a $460,000 purchase at the 2015 Gold Coast Magic Millions Sales the colt was named Meadow Lane and sent to Gai Waterhouse and Adrian Bott. The youngster failed dismally in two Randwick barrier trials, and was subsequently gelded and placed on the market. K H Leong then picked up the gelding for the modest sum of A$55,000 for his owner Mr. Chan. Arriving in Macau as a late three year old, it was obvious right from the start that Pearl Green was something special. After a couple of nice efforts in unsuitable races, the gelding then proceeded to win five races straight and stamp himself as the dominant four year old of last season. 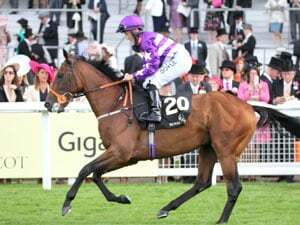 Pearl Green went on to make a clean sweep of the four year old classics in winning the Derby Trial, the Guineas and The Derby. 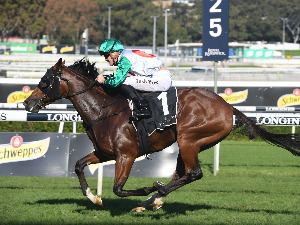 After Saturdays win the son of Fastnet Rock has put together a record of nine wins, five seconds and three thirds with only two unplaced efforts from his 19 starts. His prize money now is nudging the $4 million HKD mark and there’s plenty more to come for the five year old who has returned better than ever this season. Winning jockey Manoel Nunes was full of praise for Pearl Green after the win which gave him his first Directors Cup victory. “It wasn’t my intention to lead but with the good gate and the way he jumped and the lack of speed early, he was traveling so comfortable it seemed the right thing to do. Nunes will ride in Macau next Saturday and Sunday before jetting out to Mauritius where he made a huge impact at the end of last season winning 17 races and kicking home 19 placings from only 67 rides. Another impressive winner on the day was the Geoff Allendorf trainer Luen On Treasure ridden by Japanese rider Shogo Nakano, who donkey licked his opponents in the Class 2 & 3 Handicap over 1500 metres. The son of Dane Shadow made it win number five in the enclave and was give the perfect ride by Nakano, parking in sixth spot on the rail before getting off the backs of the tiring leaders coming to the turn. 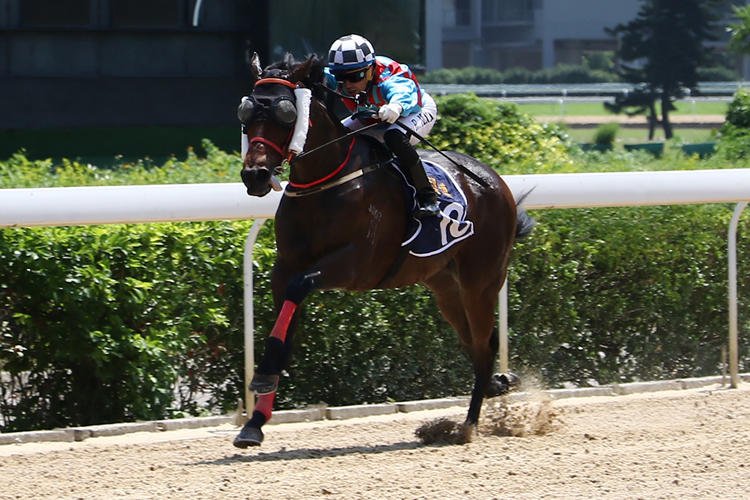 Luen On Treasure raced clear at the 200m with the only real chaser Pearl Win Win (Manoel Nunes), with Chromium Alloy (Horace Lam) running a distant third. Luis Corrales took riding honors for the day with a winning double on the Rambo Tse trained Starkiller in the Class 3 & 4 over 1200 metres, and short priced favorite Qipao Queen prepared by K C Chong in the last the Class 4 over 1500 metres.